We’ve all heard that carrots are good for our eyes, but what other foods are good for our eyes?! In general, a well-rounded, healthy diet also leads to healthy eyes! Here are five superfoods that are well, SUPER for your eyes! 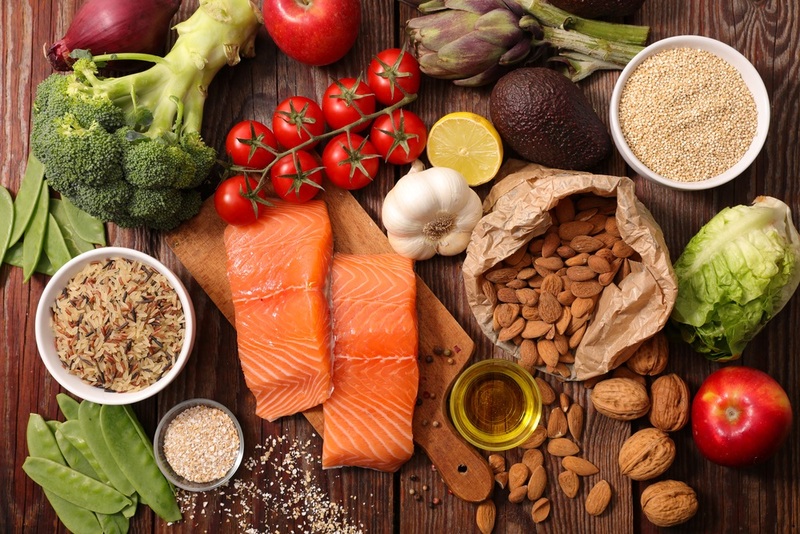 Including fish in your diet whether it be salmon, tuna, mackerel, or other cold water fish rich in omega 3 fatty acids, can protect against dry eye syndrome, macular degeneration and cataracts. Omega 3’s are also great anti-inflammatories, which contribute to healthy tissue. Not a big fan of fish? Keep an eye out for omega 3 supplements in liquid or gel form, or mixed with a multi-vitamin! Spinach, kale, collard greens, and broccoli are great for healthy eyes and preventing macular degeneration and promoting good retinal health. Lutein and zeaxanthin are important carotenoids in our retina, and can be found in leafy green vegetables. Eggs are also rich in lutein, zeaxanthin and vitamin A. Eggs are full of antioxidants that assist in taking care of your eyes! Zeaxanthin can help protect eyes against UV radiation from the sun. The more colorful your diet is, the better! These colorful compounds usually contain vitamin A and the carotenoids mentioned above, that help reduce risk of macular degeneration and reduce the formation of cataracts. Almonds, sunflower seeds, and pecans are all good sources of vitamin E. Vitamin E is a good antioxidant that can also help protect against macular degeneration. In general, good overall health goes hand in hand with good eye health. However, there are still certain conditions such as macular degeneration, glaucoma, and cataracts that are screened for at your annual eye exams. Remember, scheduling and keeping up your annual eye exams go a long way in promoting good eye health! Ok ladies we all know how to make your eyes pop with heavy black eyeliner on the water line! This look is amazing right, yes we know and we all LOVE it! This look is great for occasions but not EVERY day. You see, on our eyelid margins , or what we sometimes call our waterline when putting on make up, there are glands that have openings ON the waterline. These glands are called our meibomian glands, and they secrete an oily component that helps keep our tears from evaporating too quickly. There are about 25-40 glands on our upper lid, and 25-30 on our lower lid. 1. Wake up... NOT in your make up. Don't sleep in your eye make up! We all know that feeling when you're too tired and want to just go to sleep without taking your make up off. However, sleeping in eye makeup can clog oil glands, causing infections and styes on your eyelids! 2. Treat yourself like a Queen, and Clean those make up tools. Brushes and applicators can accumulate all kinds of bacteria and debris, even if they look relatively clean. Washing your brushes once a week is ideal, you can use warm water and baby shampoo. Let your brushes air dry and store them in a covered container. 3. Rock your own Flare, don't Share! We all love sharing with our friends, but NOT eye make up ! Sharing makeup increases your risk of developing a bacterial infection. Even if you are at a cosmetic store, ask for small, personal sample sizes instead. Meibomian gland dysfunction can be evaluated at your comprehensive eye exam and treatment can be customized depending on the cause. Have fun with your make up, but remember avoiding eye make up on your inner eye lid for every day goes a long way for your ocular health! 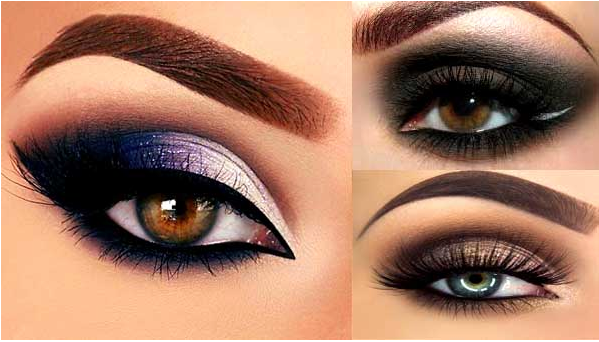 Keep those eyes poppin' and beautiful, and remember these healthy eye make up tips!